Hey, bookworms! With both excitement and nervousness, I acknowledge that July has come to a close. It seems like I celebrated the fourth and charted monthly goals just yesterday. As the next school year rapidly approaches, I'm working to finish my summer assignments and prep the blog for a vastly different schedule. Still, I'm happy to celebrate July's events and conclude a great month in book blogging and other activities. Yes, this is a Hamilton quote. I had to. 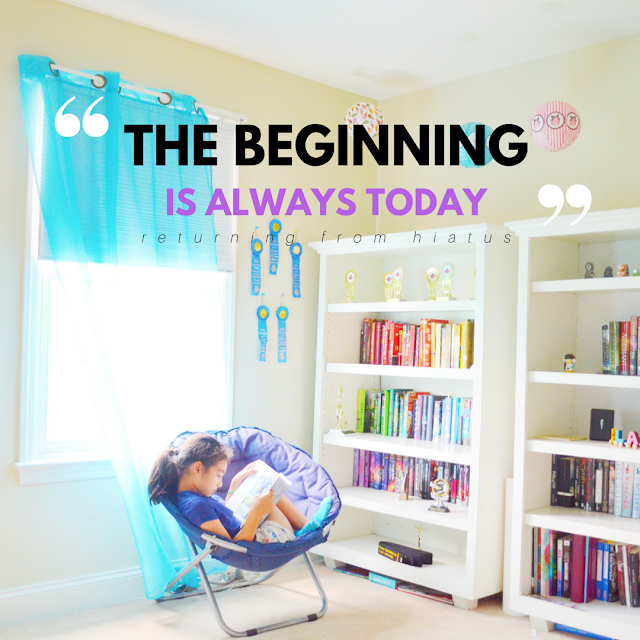 For me, this July marks new opportunities in book blogging. As many of you may know, I formally returned from a three-month blog hiatus at the beginning of this month! This month, I created a bookish snapchat! It's a new platform for my reading endeavors and I'm gradually learning the ropes. To keep up with my bookish shenanigans, you can add me at covertocover! I'm currently brainstorming two major book blogging events with some lovely and talented bloggers! Stay tuned for updates! July offered some truly epic reads. I've been using that aforementioned library card to read all the books I can! This month on average I've been clearing about a book a day, a great improvement over my school-year average, a book every five months 😂. As I thought about the books I've read across 2015 and 2016 so far, I realized that only one of these books featured a military child. 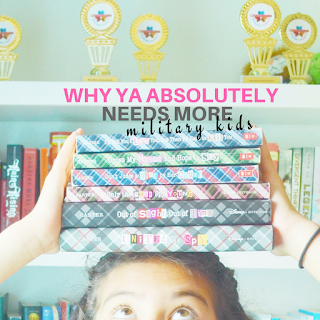 So, earlier this month I discussed why representation of military kids in YA fiction is incredibly important! Slowly but surely, I'm chipping away at my Goodreads challenge! This year I overambitiously pleged to read 100 books, a goal that seemed reachable until the school year began. I still have hope, though, and while I remain behind in the challenge, this month I've reduced my numbers from 38 books behind to less than 20 books behind! I'm also slowly completing my summer assignments, many of which involve required reading. I begrudgingly admit that these assignments are *tentatively* making me appreciate required reading. Some of my favorite books of 2016 so far include Six of Crows, A Study in Charlotte, My Lady Jane, The Unexpected Everything, The Hidden Oracle, The Glass Castle, A Darker Shade of Magic, and How it Feels to Fly. I talked about six of these awesome titles on the blog a few weeks ago! 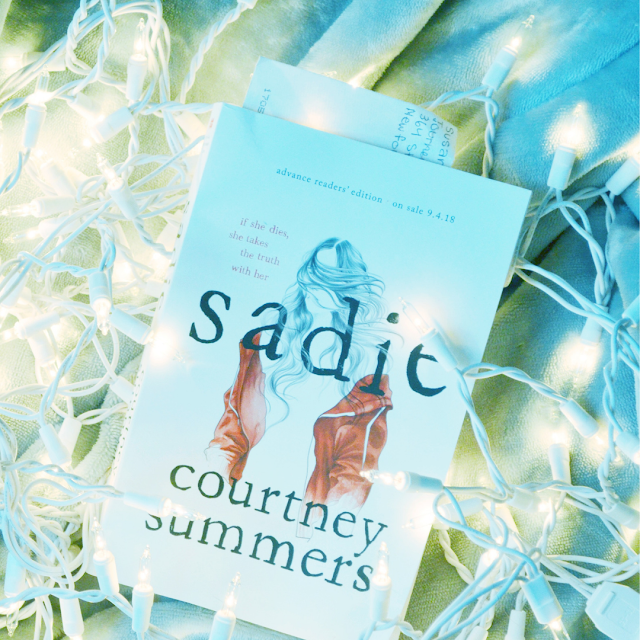 I participated in my first continuous bookstagram challenge, #julywithcj this month! I had a lot of fun seeking ways to fulfill the prompts within my theme. 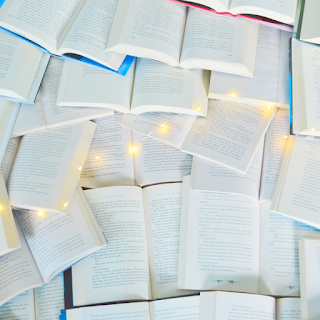 After posting on bookstagram consistently throughout the month and growing to love the community, I penned a post with 7 reasons you ought to join bookstagram! Alex [@thebooksbuzz] and Salma [@seaofbook] for helping me to reach a milestone of 400 followers. Although the number may seem small to some, I'm grateful for the support. Maha [@ayounicornreads] for providing me some awesome feedback on some of my photos when I was hesitant to post them for the challenge. Clara [@claraxlala] for leaving the sweetest comments on my photos that open discussion and brighten my day. That bad pun was riddikulus. The script of Harry Potter and the Cursed Child releases today! I can't wait to find out about Harry and the others post-battle of Hogwarts. Just thinking about the Cursed Child makes me want to re-read the entire series. This month, the wonderful Aentee @ Read at Midnight hosted a #potterheadjuly event to celebrate the release of the Cursed Child! 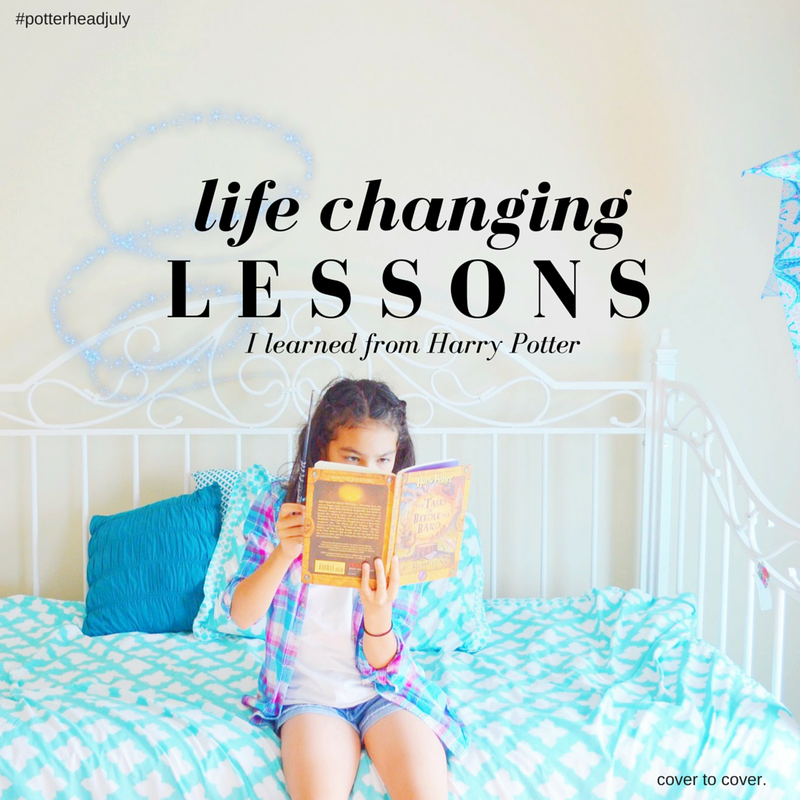 To commemorate, I shared ten of my favorite Harry Potter quotes and the invaluable life lessons they have taught me. With the upcoming release of a Fantastic Beasts and Where to Find Them film and new updates on Pottermore, Ilvermorny, the American equivalent of Hogwarts, has been all the rage. 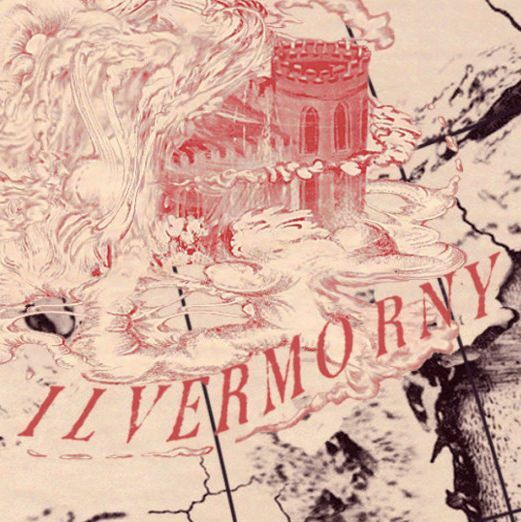 I'm curious: what's your Ilvermorny house? @ccovertocover so many amazing reads! And I've taken part of tons of chats and discussions, which is my ultimate goal!! Happy August, Claire! (Even if school is lurking in the corner *sob*) Your pictures are so pretty and your Bookstagram feed is so clean! And I love the pictures you took from Canada. They are so pretty and I'm sure you had a lot of fun. :) Summer vacations and family trips are always worth the memories. Also, have you bought Cursed Child? I know of someone who bought the book and finished it within a day, and I just feel so jealous because she really loved it. I really want to read the book so bad! Oh my goodness. I laughed out loud at your "siriusly" pun!! When I saw the title of your post I didn't pick up on it and I genuinely thought you spelled seriously wrong. Then, of course, I realized and - oh my gosh. That was before I saw the "riddikulous" pun, and you can imagine the smile on my face at that point. Thank you for that. It siriusly brightened my day! It sounds like you had an amazing month! Congrats on completing your first Bookstagram challenge, by the way! I don't know if I would get through it - I'm not very good that way! I love your Instagram though - your pictures are beautiful. One of my highlights of July would have to be redesigning my blog and moving to Wordpress self hosted. That was really exciting and rewarding - especially after all the frustration in the process! I just CANNOT believe summer is nearly over... It barely just started! You are on top of your summer schoolwork and I haven't even given mine a second thought. But you definitely motivate me to get mine done soon! And I siriusly love your puns. I started rereading Harry Potter again for the first time in AGES and I have fallen back into being obsessed with Hogwarts. Also your photos from Canada are gorgeous! Sounds like you've had an excellent July, with traveling and reading! My Ilvermorny house is PUKWUDGIE! I haven't read much about it (or the other three houses) yet, but I'm not too interested unfortunately :( It seems like there's being a lot added to the Harry Potter world! Welcome back, Claire! My goodness, I hadn't visited in your blog in a long time (or anyone's for that matter), but your blog has really grown since I last visited. Your blog is GORGEOUS. You had an awesome month! Niagara Falls is beautiful and it's always fun to travel to Canada. My favorite candy bar is only available there, Coffee Crisps. Lol. Your bookstagram photos truly are gorgeous and I love all your photos! Great post and great month!